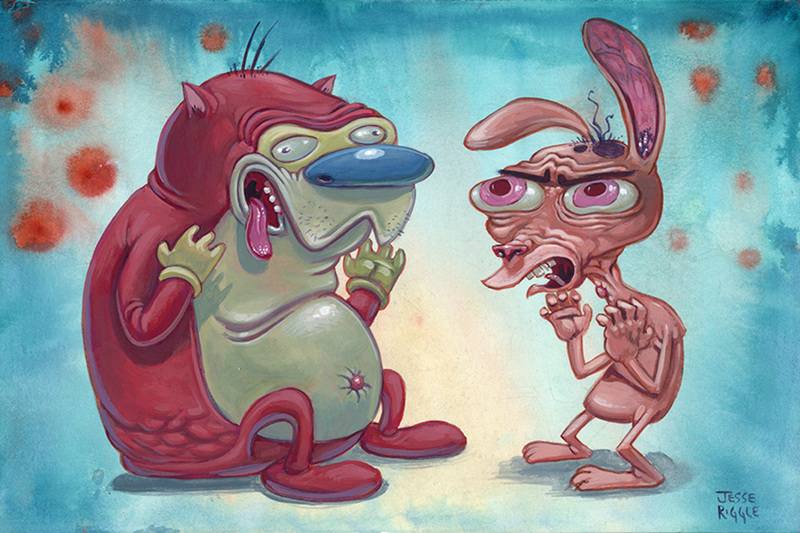 I made this Ren & Stimpy painting for the Idiot Box show at Gallery 1988. This was definitely my favorite show growing up. That’s Nick Offerman up there on that bacon. This year’s Crazy 4 Cult opened at Gallery 1988 this past weekend. I made this painting for it honoring Snake Plissken from Escape from New York.